Conversion coupling refers to the connection between the pre-click experience and the post-click landing user journey. Conversion coupling should ensure consistent messaging throughout the user journey. 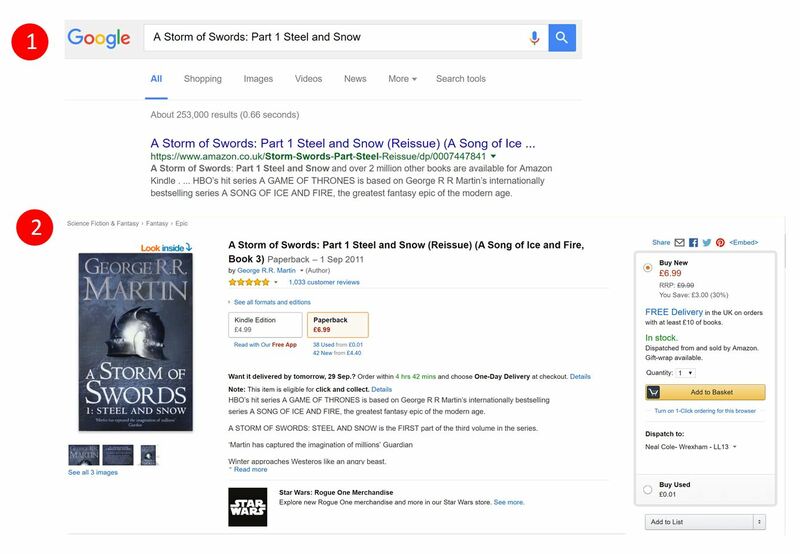 Amazon is especially good with conversion coupling as you can see from these screenshots that show the description from the search result and how this matches the landing (product) page.